Using credit cards to fund your business is typically the right thing to do if you need a small amount (less than $30,000) of flexible financing or if you can’t qualify for a bank loan. Credit cards have the added benefit of earning you rewards on routine purchases for your business and typically carry an annual percentage rate of 12 percent to 29 percent. Chase Ink Business CashSM Credit Card is our top recommended business credit card to fund your small business. The card offers 12 months of 0 percent interest on purchases. It also offers up to $500 introductory cashback and ongoing cashback rewards between 1 percent and 5 percent. Visit Chase to apply and you could get a funding decision within minutes. Using credit cards to fund your business is a great option in certain circumstances like if you just need quick access to a small amount of financing up to $30,000. 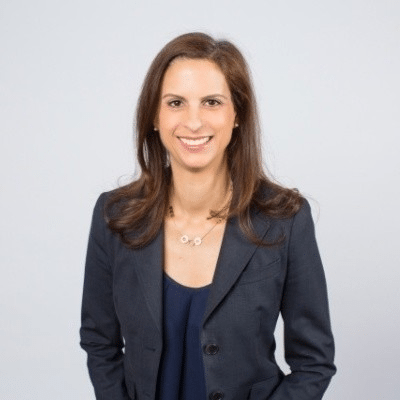 Many businesses use credit cards before their business has revenue because, at that point, it’s not likely that their business will qualify for bank financing. The best credit cards, if used wisely, can be great financial tools for most small businesses. New businesses are going to see less than $20,000 in approval — many times less than $10,000. Businesses can get approved for up to $100,000 but only the largest businesses with the most revenues get approved for that. You can get approved for more as your revenues increase. Bank loans, on the other hand, may be issued for larger sums, but the process for applying is much more expensive and time-consuming. You may not even qualify for a loan, but you still have to pay an application fee and take the time to round up tax returns and other documents. If you need less than $50,000 for your business, you can apply for a credit card like Chase Ink Business CashSM Credit Card, get a decision quickly and start using your card within seven to 10 days if you’re approved. This is much easier than getting a small business loan. Business owners who use a credit card to fund a small business often do so because they haven’t been in business long enough to qualify for a bank loan or don’t have collateral. 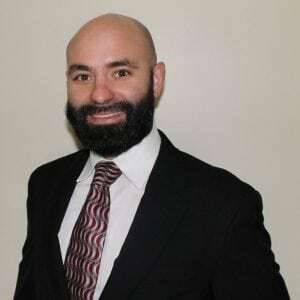 Still, business owners with good credit and long-standing businesses will also use a credit card because of the quicker access to capital when compared to something like a Small Business Administration (SBA) loan. While a traditional bank or SBA loan can be time-consuming and difficult to qualify for, sometimes a credit card isn’t the ideal choice, either. If you’d like to read about other alternative financing options for startups and growing businesses, check out our article on the 11 Best Startup Loans. Whether your company is just starting, in a high-growth phase or a mature business, a business credit card can be a great source of flexible short-term financing. Small business loans are often fixed amounts lent for a specified period of time. Using a credit card, however, lets you use your credit in months that you need financing, and then pay it off when you can. This is in contrast to a bank loan that would require you to make set payments each month until the loan is paid off. If you pay off your loan early and need financing again, you would need to reapply for a new loan. With a credit card, you can dip back into your credit as necessary. If you need fast or flexible financing, using a card like the Chase Ink Business CashSM Credit Card may be your best option. The Chase Ink Business CashSM Credit Card offers an introductory 0 percent APR for 12 months on purchases, and you can earn up to $500 in bonus cash back if you spend $3,000 in the first three months. It should be noted that credit cards aren’t without their risks. Most credit card companies offering business cards will require the business owner to sign a personal guarantee on the debt. This means that if the business is unable to make the payments, then the business owner will be personally responsible to pay off the card. The cards for using credit cards to fund your business are small business credit cards that offer long introductory periods of 0 percent APR for purchases. These credit cards will also often offer cashback or rewards points on purchases, which act as a “discount” on the amount you finance. Rewards are earned when statements are paid. If you want to use a credit card to fund your business, the first thing to do is identify a card that is a good fit for you. Be sure to consider what fees are charged for a card, whether it comes with a 0 percent introductory APR periods or offers a rewards program. 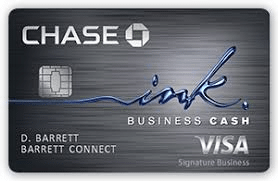 Chase Ink Business CashSM Credit Card has a 12-month introductory period of 0 percent APR for all purchases. In addition, the card also has a $500 introductory cashback reward if you spend $3,000 in the first three months. The card offers ongoing cashback rewards between 1 percent and 5 percent and ongoing interest rates that range from 15.49% – 21.49% percent. The benefits offered by Chase Ink Cash make it a great choice for startup businesses. If your business is just starting out and you want to see other options, check out our article on the Best Credit Cards for Startup Businesses. American Express Blue Business℠ Plus offers a long 0 percent introductory period for purchases and balance transfers at 12 months. Ongoing rates range from 15.49 percent to 21.49 percent depending on the business owner’s personal credit. The card offers two times the points on the first $50,000 spent and one times the points on all purchases after. Points are redeemable for cash or travel rewards. The long introductory period American Express Blue Business℠ Plus offers also makes it our top pick for 0 percent interest business credit cards. You can read about other great 0 percent cards in our article, Best 0 percent Business Credit Cards. 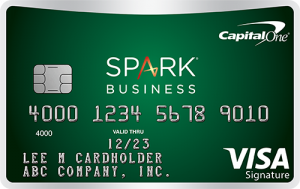 Capital One® Spark® Cash Select for Business offers a nine-month introductory 0 percent period on all purchases. The Capital One card offers a $200 cash bonus if you spend $3,000 in the first three months and ongoing cashback equal to 1.5 percent. The card has an ongoing APR of 15.24% to 23.24%. The Bank of America® Business Advantage Cash card offers a nine-month introductory period of 0 percent APR on all purchases. The card also has a $300 introductory statement credit and ongoing cashback rewards between 1 percent and 3 percent, plus there’s no annual fee. The card has an ongoing APR of 14.49% to 24.49%. The American Express SimplyCash® Plus card also offers a nine-month 0 percent introductory APR on all purchases. SimplyCash also offers ongoing cashback rewards between 1 percent and 5 percent. While there are no balance transfers, there’s also no annual fee. Ongoing APR ranges from 14.49 percent to 21.49 percent. When using credit cards to fund your business, the best types of cards to use are those that offer low fees. In addition to avoiding annual fees, it’s good to look for a card that offers a long introductory 0 percent APR period. To read about other cards that offer these introductory periods, check out our article on the Best 0 percent Business Credit Cards. There are many benefits and drawbacks of using credit cards to fund your business. The most immediate benefit is a 0 percent introductory APR period that gives small business owners time to grow their companies. However, there are many drawbacks, including the risk of accumulating a sizeable balance if you can’t keep up with payments. There are many advantages of using credit cards to fund your business. Used properly, credit cards can lower your cost of capital and provide substantial signup rewards and bonuses. Many lack annual fees and offer introductory periods with 0 percent interest on purchases and balance transfers. Credit cards have low interest rates when compared to other types of small business financing options typically available to startup businesses. Small business credit cards typically have ongoing interest rates that range from 12 percent to 24 percent annually. This is lower than the 30 percent to 50 percent or higher APR you see with small business lines of credit vs. small business credit cards. Small business credit cards often charge fees on things like cash advances, balance transfers and foreign transactions. Still, you can easily avoid these additional fees with proper planning. This makes a credit card a less expensive and a good alternative to all small business financing options except for traditional bank, SBA and a few hard money loans for prime borrowers. However, remember that interest rates on credit cards are variable and can increase in time. Rates are relatively steady and remain a good startup funding option. Below is a list of credit card interest rates and how they compare to other financing options. The 0 percent introductory APR is a six- to 18-month period where there is no interest charged on purchases and sometimes balance transfers. These 0 percent introductory periods are important for small business owners because it gives them time to grow before they have to pay their expenses. 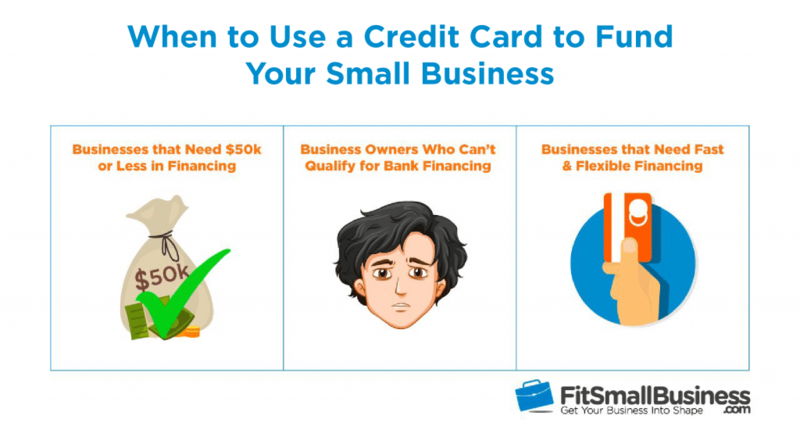 In this way, a small business credit card works like a flexible startup business loan. It’s fairly common to find small business credit cards with 0 percent introductory APR periods for the first nine to 15 months you have the card. This gives you the opportunity to make company purchases or transfer existing credit card balances without having to make interest payments for the entire introductory period. However, since a credit card is revolving, you won’t be able to spend more than the limit until you start making payments. There are also personal credit card options that might offer longer 0 percent introductory APR periods. You can read our buyer’s guide on the best personal credit cards for business owners for more information. Remember that if you use a personal credit card for business expenses you’ll still want to separate your business and personal expenses whenever possible. In addition to 0 percent introductory APR periods, many small business credit cards also offer no fees on balance transfers during the introductory period. This means that you can transfer the balance of an existing credit card that’s being charged interest to a 0 percent interest card at no cost. Almost all small business credit cards offer signup bonuses and ongoing cashback or rewards points. Cards that offer cashback rewards typically offer a $200 to $500 introductory signup bonus if you spend more than a certain limit within a specified time frame. Then, the cashback reward card will offer ongoing cashback between 1 percent and 5 percent. Cards that offer rewards points usually offer 25,000 to 50,000 or more signup points if you spend a certain amount within a specific time frame. Once the introductory period is over, the cards will offer rewards points between one times and five times on purchases. Points can be redeemed for travel rewards and sometimes even cash. Chase Ink Business CashSM Credit Card is our top recommendation for a cashback small business credit card. It offers a $500 introductory bonus if you spend $3,000 in your first three months and ongoing cashback between 1 percent and 5 percent. There are also some disadvantages to using a credit card to fund your business. If you’re just starting or running a business that doesn’t make enough money to keep up with payments, you can build a huge balance as penalties and interest pile up. Cards can also be misused, open you up to identity theft and make it harder to get another loan in the short term. If you decide to use a credit card to fund your small business, it’s critical that you keep up with monthly payments. Once the introductory period expires, you will start being charged interest each month on any outstanding balance as well as penalties if you fail to make minimum payments. Gone unchecked, these interest charges and penalties can begin to build a sizeable balance on your credit card quickly. This can be incredibly difficult to pay off later. Once you take out a credit card to fund your business, make sure you’re aware of when the 0 percent interest period ends and interest charges will start. From that point on, make sure that you pay off your balance on time each month. While it’s possible to use credit cards to lower your cost of capital, this won’t be the case if you fail to make a payment and end up being charged a penalty APR. This is the rate companies charge once you fall behind on payments, and it’s typically about 30 percent. These interest rates are extremely high compared to other types of debt. If you think there’s a chance that you may fall behind on payments for your small business credit card, you may want to find another lending source that doesn’t charge the penalties and interest typical among credit card companies. To get a small business credit card, credit card companies typically look at the creditworthiness of the business owner. This usually involves a hard credit check once you apply. If you start using your card as soon as you get it, this can also increase your credit utilization rate. These factors can keep you from getting another loan in the short term if you decide to take out a small business loan. If you decide to use a credit card to fund your business, be sure to stay current with your payments. Late payments can hurt your credit score. Also, be sure to keep your balance low relative to your total credit line. This will keep your credit utilization rate low and increase your chances of getting additional credit in the future if you need it. Once you get a credit card for your business, you need to be aware of who can use the company credit card and for what purposes. Be sure to check your monthly bills to ensure that all expenses are approved. It’s also important to be mindful of potential identity theft, especially if you have multiple employees using the same card. Be sure that all items on your monthly bill can be accounted for and are consistent with the intended use of your company credit card. It’s important that if you use a credit card to fund your business that you follow specific best practices. 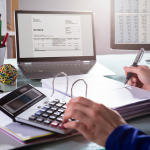 This will help you better manage your cash flow and your working capital expenditures and will ensure you have enough money to repay your credit card bills over time. The result is a financially healthy company. When you use a credit card, only minimum payments are required and there’s often a 0 percent introductory APR period, making it tempting to let your balances pile up. This differs from a traditional small business loan where you’re obligated to repay with regular installments of principal plus interest. Even with 0 percent introductory APR, it’s important to treat credit card financing as a loan and make regular payments to keep your balance in check. Otherwise, you will significantly increase your interest burden and the amount of money you owe. You could also end up hurting your personal credit score. Roughly 50 percent of all small businesses have credit card debt. Balance transfers let you consolidate small business debt and transfer all your balances over to one low-interest or 0 percent introductory APR card. This can help you save money on interest and gives you more flexibility when making repayments on your outstanding balances. This is especially beneficial when you have a 0 percent introductory APR small business credit card. Typically, these cards won’t charge any interest on balance transfers as well as not charge balance transfer fees during the introductory period. This gives you the chance to transfer interest-bearing balances to cards that don’t charge interest. There are many small business credit cards that don’t charge annual fees. The American Express Blue Business℠ Plus, Chase Ink Business CashSM Credit Card and Capital One® Spark® Cash Select for Business all don’t have annual fees. 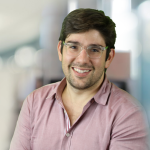 This helps startup companies and early-stage entrepreneurs avoid any extra costs, especially helpful during 0 percent introductory periods when they’re probably already floating expenses. However, there are some business credit cards that charge annual fees as high as $450 or more. These cards will typically offer more robust introductory offers and ongoing cashback and rewards programs, helping the card pay for itself and more. Business credit cards with a fee are typically used by more mature companies that can afford it and put the rewards to good use. Agreeing on these things before you use a credit card for business expenses will save you time, money and headaches later. Small business credit cards are typically made to work well for a specific purpose. For example, a cashback rewards card might offer higher cashback rewards for office-related purchases. A rewards point card might incentivize with two times the miles that are redeemable for travel expenses. You’ll want to use each of these cards to it maximizes its cashback and rewards. Other cards like fuel cards and fleet cards offer rewards that are specific to gas and gas-related purchases. However, the best credit card to fund your business is one that offers a long introductory period of 0 percent APR on purchases and balance transfers. It’s important to use one of these cards before looking at the specific rewards of individual cards. If you decide to use a credit card to fund your business, you’ll be limited by your credit line. However, there are certain things you can do to maximize the size of your credit. If you make consistent and on-time credit card payments your credit card provider may increase your credit limit. If your provider doesn’t increase your credit limit within five or six months of opening your account, call or email them. If you have a history of on-time payments, the issuer may increase your credit line to keep you as a customer. Remember that just because you have a higher credit line doesn’t mean you have to use it. In fact, having a higher credit limit without using it decreases your credit utilization ratio, which helps your credit score. There are typically two types of credit cards that include both personal and business cards. Consumer credit cards offer longer 0 percent APR introductory periods up to 21 months, compared to nine to 12 months with business cards. This is helpful for a new business that’s just getting off the ground and needs to save as much money as possible. Business credit cards also come with several advantages. They typically offer higher credit lines and are a natural choice as your business outgrows the limit on personal credit cards. Business cards can also shield your personal credit score and help build up your business credit score. Lastly, you can only charge business expenses to a business credit card, forcing you to separate your business and personal expenses. The best time to use a credit card to fund your business is when you need capital with a 0 percent introductory period or when you want access to a flexible credit line. Startup companies, high-growth organizations and more mature businesses all typically use a credit card to fund themselves at one point or another. Chase Ink Business CashSM Credit Card is our top recommended business credit card to use when funding your business. The card has no annual fee and offers a 12-month 0 percent introductory APR on purchases. It also offers $500 introductory cashback and ongoing cashback rewards between 1 percent and 5 percent. Can I give my business a cash loan by swiping my credit card on my business credit card terminal? I have some expenses that will not accept credit cards. If your credit card allows a cash advance, which most do, then you can go to an ATM and take cash off of your card, or ask for cash back when you make a purchase. I wouldn’t personally do this at your business terminal because you could end up messing up your own accounting books. It also has the appearance of fraud, even though it’s technically a legal transaction, when you’re swiping your own card and taking cash out of your own register. So technically this can be done but I would do it somewhere other than your place of business. I would also caution you to be aware of the high fees that could be associated with your credit card in doing this. Make sure you have a specific use for that money that is going to grow your business and not just help you get by until you need to cover your expenses again and then don’t have a credit card line to draw from at that point. Get credit for business financing is not easy. We must be careful to get the credit that is really benefit. This means that interest payments are not burdensome. While, our businesses must be able to provide huge profits that can be used to pay the bills. It should get the most attention from us. Many people find it difficult to repay their loans due to less computation and less cautious. The instructions in this article is very important and helpful. I say this because my son is now getting financial difficulties due to take credit that inadvertently. Thanks Ita. I’m glad you found the article helpful. If you decide to borrow on a credit card to fund your business, you definitely do have to be careful and have a plan for paying off your balance. Best of luck to you and your son.